Each Rule has two sections: Conditions and Processing. 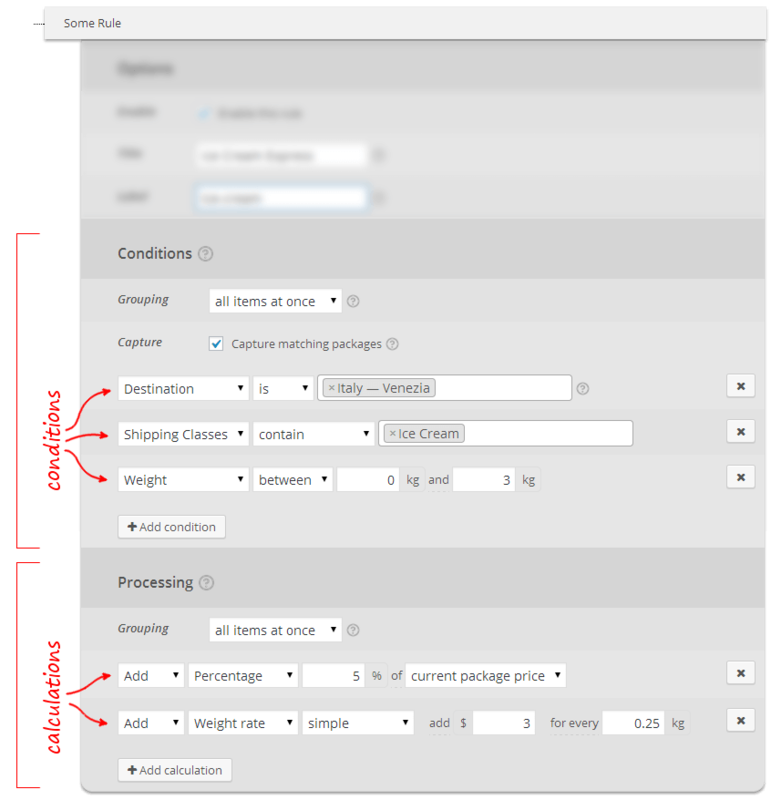 Conditions section defines which orders a rule is suitable for. 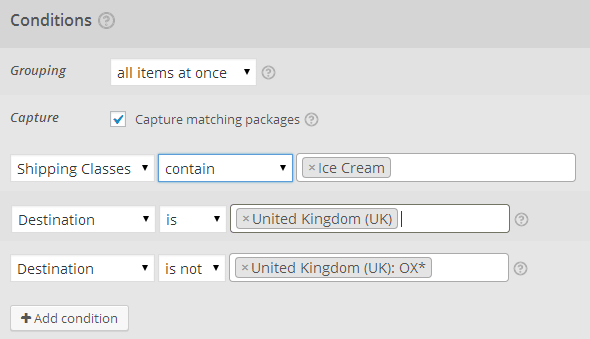 Order gets processed by a rule only if it matches all rule conditions at the same time. 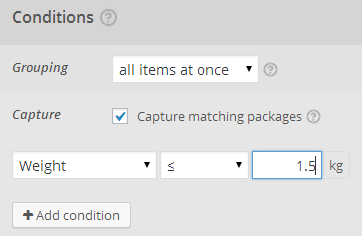 Once there is an order matching rule conditions it is processed by the rule. 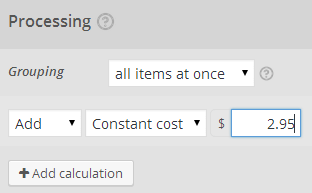 Processing section contains a list of calculations which being applied to an order produce one or more rates.